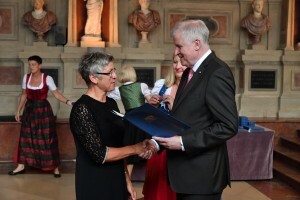 Dietfurt/Töging, 12 July 2017 – Not more than 2,000 people possess the Bavarian Order of Merit. 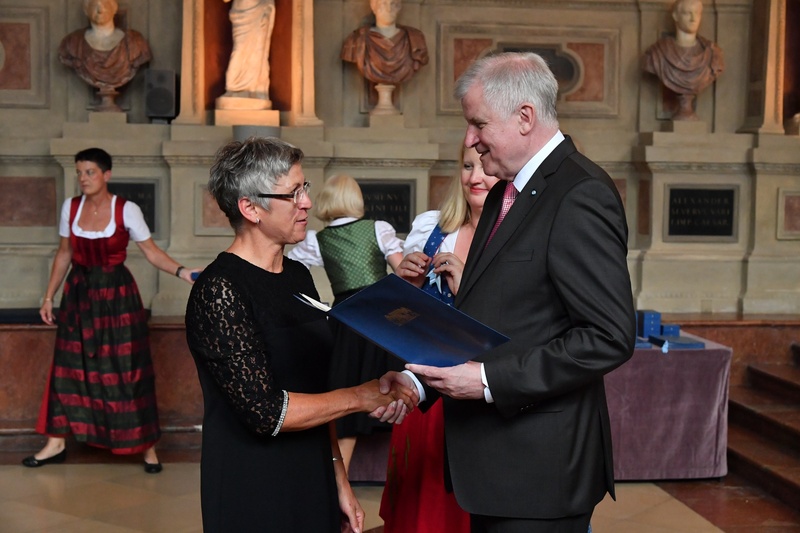 All people honoured have made an outstanding contribution to the people and the Free State of Bavaria. 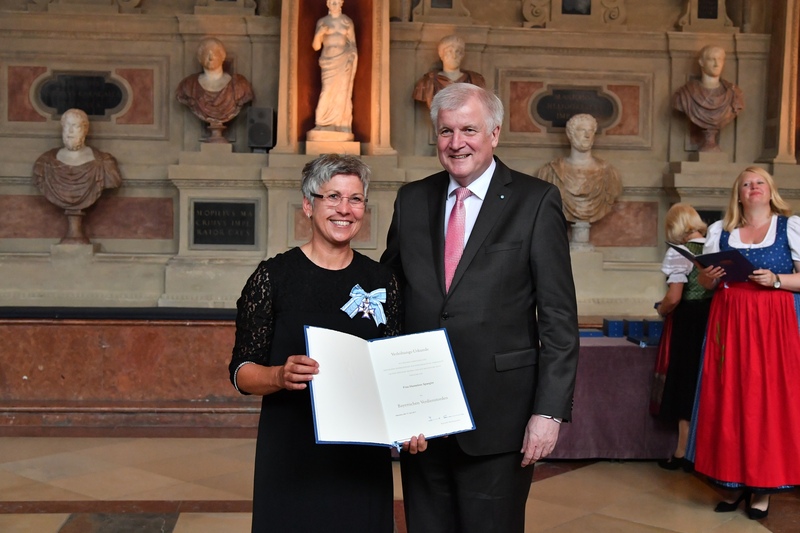 On 12 July 2017 Minister President Horst Seehofer awarded the Dietfurt entrepreneur Hannelore Spangler that highest Bavarian honour. 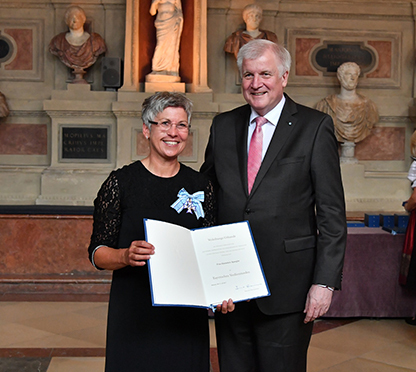 With her entrepreneurial courage Mrs. Spangler had developed her family-run technology company to an international player within the automation technology, as it was explained in the statement of the award. 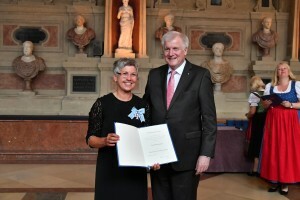 In 2003 Hannelore Spangler took on the responsibility in the company. Under her leadership, the management team has systematically developed further the technology portfolio and opened up new market opportunities. 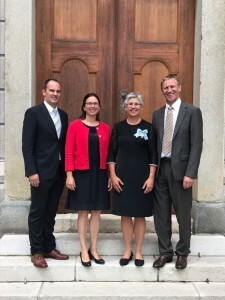 With 130 employees SPANGLER Automation is now one of the significant employers in the region, the products and services are in demand all over the world: More than half of the products manufactured in the Altmühltal are exported. The company is currently constructing an additional production hall with a size of 1,000 square metres at the original premises and thus expands its production capacities by more than 50 per cent. This success story is based on a philosophy with holistic approach in addition to a healthy entrepreneurial spirit: “We do not think in financial years but in generations.” The Managing Director’s credo refers to the entire company and to all people involved: to the employees as well as the customers and suppliers, to the products and the financial stability. The global customers appreciate SPANGLER’s reliability as well as the local employees. Great emphasis is put on a demanding apprenticeship and further training with a character development, young families benefit from a flexible organisation of working hours and a short-term child care when needed – team spirit is of primary importance.